HOST of “Citizen Pinoy,” a weekly TV show which focuses on U.S. immigration laws, issues, and procedures, and presents complex immigration topics in plain terms, enabling viewers to better understand their rights, options, and possible solutions to their immigration problems. COLUMNIST for Asian Journal, Filipino Reporter, the Philippine Star, and other newspapers throughout the United States and Philippines. MEMBER of the State Bar of California and New York, the American Immigration Lawyers Association (AILA), and the Immigration Section of the Los Angeles County Bar Association. Atty. 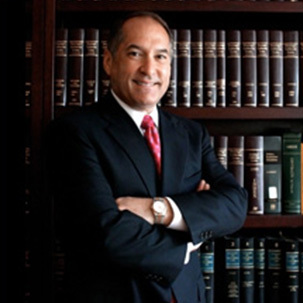 Gurfinkel is licensed to practice immigration law throughout the U.S. He is also licensed to appear before the U.S. District Court for the Central and Northern Districts of California, and the U.S. Court of Appeals for the Ninth Circuit.